I looove gold, so I am very fond of these images. whem i was youngwe found gold and leopard prints tacky. well that sure changed. 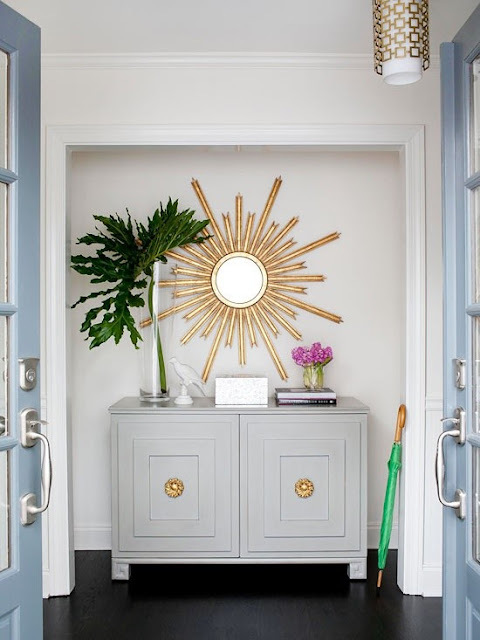 Now I want to incorporate ,ore gold in my life. 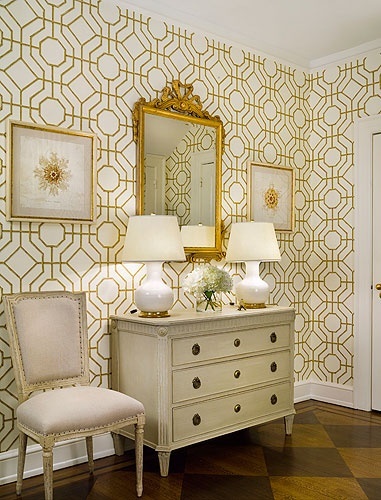 love the gold trellis wallpaper- makes such a statement! 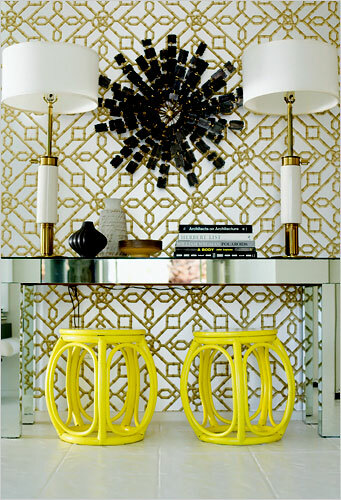 Gold definitely brings some warmth to the rooms, very pretty images! Gorgeous color Pops! Love them all, and I love your blog post!I'll surely visit again!